Jerry Farber, Mark Johnson and Joe M. Turner present Metro-Atlanta's favorite evening of comedy and magic — Atlanta Magic Night! — with opener Ari Slomka and featuring Gusto with headliner Joe M. Turner. Joe M. Turner amazes and entertains audiences with his engaging combination of magic, mentalism, and humor. 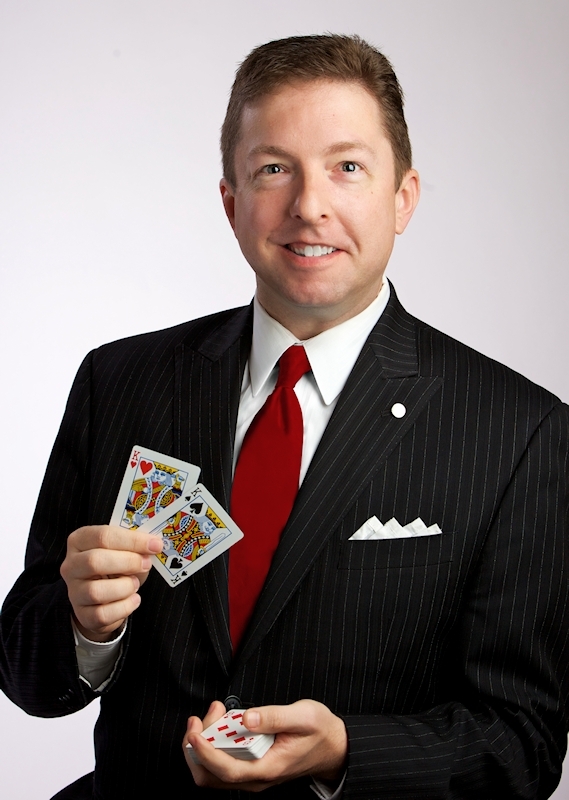 He frequently headlines Atlanta Magic Night and has also made multiple appearances at the Hollywood Magic Castle, Monday Night Magic in New York, Wizardz Magic Theatre in Orlando, and worldwide on Crystal Cruises. Other appearances include the Chicago Magic Lounge, the Tampa Magic Emporium, the London Magic Circle, and theatres and clubs across America and internationally. On television he has appeared on Good Morning America, Nightline, CNN Headline News, CNN Chile, and even a Bulgarian national network television special. In addition to being one of the most sought-after corporate speakers and entertainers in America, Joe is also a contributor to the artistic work of others. He has coached and mentored numerous other magicians and frequently consults on magic for film, theatre, and television. He was most recently the magic consultant for the world premiere of the new musical “The Dancing Handkerchief” at Theatrical Outfit. Whether speaking with a twist of entertainment, or entertaining with a twist of insight, prepare to be astonished and delighted by the Chief Impossibility Officer, Joe M. Turner.